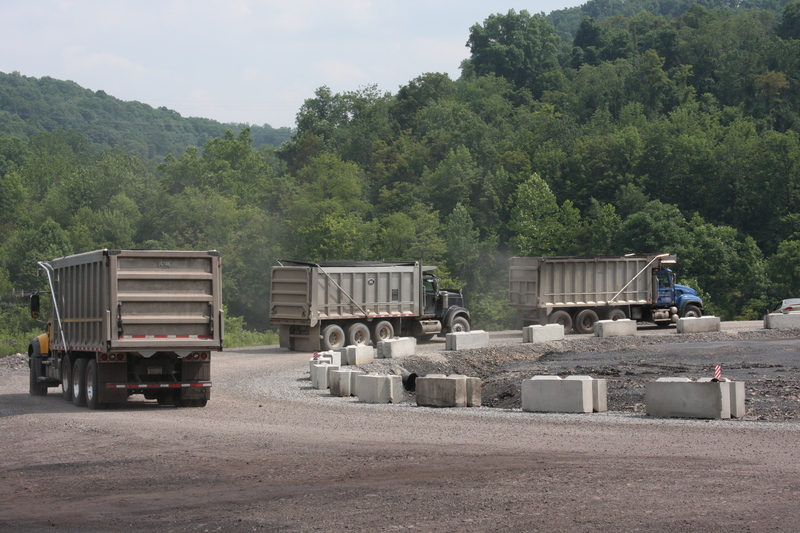 MORGANTOWN, WV (October 3, 2012) – In the Ft. Martin/Maidsville area, over 700,000 coal trucks carrying 80,000 pound loads have used Mechanical Concrete® based industrial roads in the last 22 months with excellent results. “Reduced maintenance and normal surface wear are what we’ve seen so far. No rutting or pothole problems,” said Samuel G. Bonasso, REAGCO President, from the WV Oil and Gas Expo at Milan Park.